When you first launch your niche online store, it’s highly unlikely that your visitors will be familiar with your brand when they first land on your site. After all, your little shop probably doesn’t carry instant name recognition like an Amazon.com or a Zappos. Especially when you are a brand new shop, customers need to feel confident and secure that you will deliver on your promises when they hit the submit button and pay you with their hard earned cash. As a result, you have to go the extra mile to make sure a customer feels comfortable shopping from you. And the way you do so is by putting together a polished website that clearly demonstrates that you are legit. Below are a set of webpages that the best online shopping websites use to establish trust, reduce bounce rate and improve sales. This Contact Us page is easily the most important page on your site and is usually the first one I look for on every online store I visit. If there is no easy way to contact you, then there is no way in hell that I’m going to make a purchase from you. Make sure you clearly indicate your address, email address as well as your phone number. It is also extremely helpful to include a form so that customers can directly reach you from your website without requiring them to open their email client and send you an explicit email. Some new online store owners balk at including a real physical address on their website, but it’s absolutely necessary to display a “non PO BOX” address in order to establish trust. You don’t necessarily have to use your home address either. Simply go to your nearest post office and rent a non po box address. Alternatively, you can purchase a mailbox at your local UPS store which comes with a real physical address you can use on your website. Finally, you should always use a domain specific email address on your contact page. Whenever I see a Gmail, Yahoo, or even worse, an AOL branded email address, the store loses all credibility for me. Ideally, all of your contact information should be placed in the header on every page of your website. 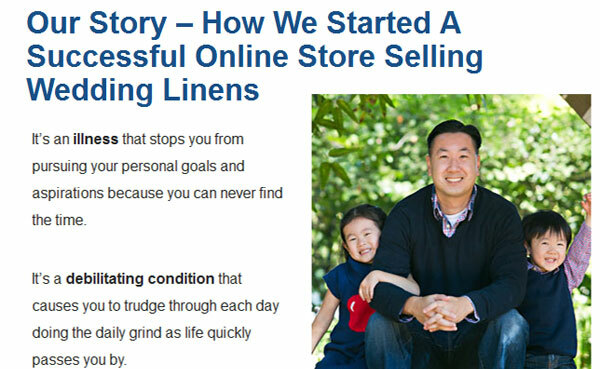 I used to think that no one ever looked at the “About Us” page on our store. However, Google Analytics has proven me wrong. It turns out that a sizable portion of our customer base actually takes the time to read this page. Since we are not a large store, customers want to learn who we are and why we sell the products that we do. A well written “About Us” page can actually make the customer want to buy from you even though a competitor might be selling the same item for less. Especially if you sell items that are highly competitive, the “About Us” page is a must since it instills a sense of personality into an otherwise faceless store. We’ve been running our store for 8 years now and we still get a lot of traffic to our testimonials page. Especially with an unknown store, some buyers will be wary unless they know that others have purchased from you before and were happy with their transaction. But of course, you can’t attract testimonials until you start making sales. To get around this chicken and egg problem, you can simply give away products to your friends and acquaintances in return for a testimonial. Alternatively, you can sell on Amazon or EBay and receive some feedback there as well. For our online store, we started our testimonials page based on a combination of Ebay feedback and website feedback from people who we asked to critique our website. We also contacted all of our initial customers with incentives to provide an honest opinion regarding our customer service and product quality. Over time, we’ve gathered quite a large feedback database and have included them on our online store. For some customers, this can make a big difference in convincing them whether they buy or leave. In the long run, you should use a product feedback service like Yotpo or another 3rd party feedback service to make your testimonials even more credible. Personally, I hate shopping online when I have absolutely no idea what the shipping cost is going to be until I checkout. I also hate it when it’s not clear what the return policy is. These days, large companies like Amazon offer pain free shipping and returns so you have to be clear in this regard. Therefore, it’s important to have a special page that details what your shipping costs are, which shipping carriers that you will be using and your return policy. Make sure you mention how long it will take for your product to actually ship along with different shipping estimates depending on the service chosen. Especially for a small shop, it’s always important to set the proper expectations ahead of time. After running our online store for many years now, I’ve come to realize that a lot of customers have no clue what they want to buy when they land on your site. 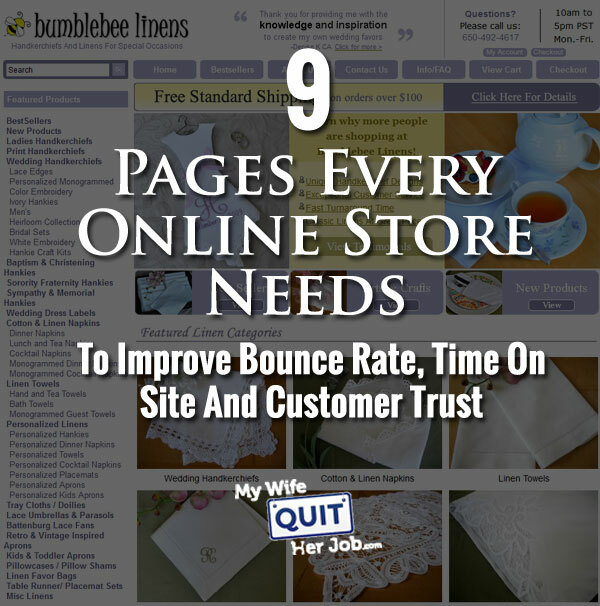 As a result, certain customers can get overwhelmed by pages and pages of product listings. For our online store, we often have people who call in asking for product recommendations. They want to know what’s trendy, what’s popular and what other people are buying. And we immediately point these people to our bestsellers page. For customers who are indecisive and want to know what’s in style, it helps to tell them what to buy in order to close the sale. On the flip side, we also have regular customers who are always on the lookout for what’s new in our shop. For example, we have several die hard customers that collect handkerchiefs and for these people, we send them straight to our “New Products” section. If you accept coupons on your online store, you’ve probably noticed that customers often leave your website during checkout in search of random coupons on the Internet. In fact, coupon code searches could be costing your online store money because customers who leave your site may land on a competitor’s site and never come back. Even worse, they might find bogus coupon codes on the Internet and get frustrated. 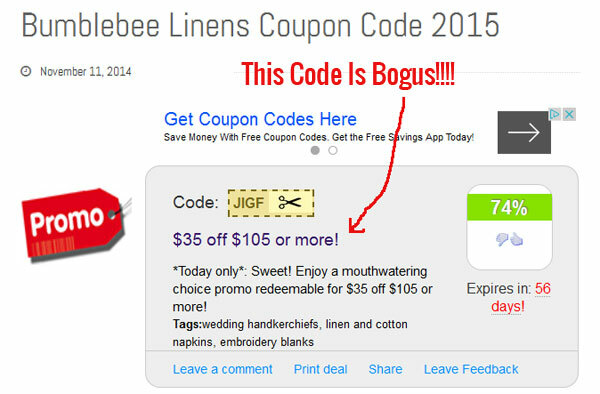 For example, below is a bogus coupon code for our shop that I found on this sketchy coupon site. If you have your own dedicated coupon page, it will most likely rank #1 in search and customers will be much more likely to land back on your site and complete their order. Occasion specific pages play a similar role to your bestseller and new products pages. 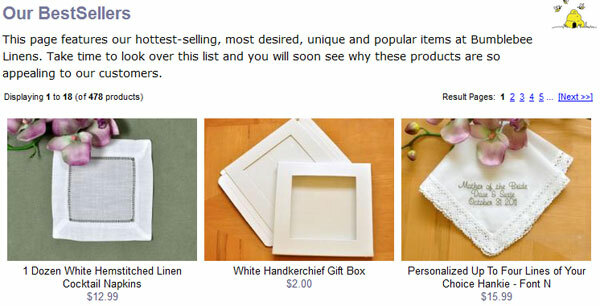 For example, let’s say someone is looking for the perfect St. Patricks’s Day gift on your site. Why the heck would you make that customer search all over your site for St.Patty’s Day products when you can collate a nice high margin product list for them? Of course it depends on the nature of the products you sell on your shop, but you should create different collections of products depending on the occasion. You can then use these product collection pages in your emails or other marketing materials to drastically increase the conversion rate for your store on these occasions. Some other automated ways to separate out your products are by color, price and theme. Your email list will be the lifeblood for converting new customers and maintaining existing ones. As a result, it’s essential that you start collecting email addresses ASAP! To entice customers to sign up for your list, you need to have an attractive signup page and give something away for free. 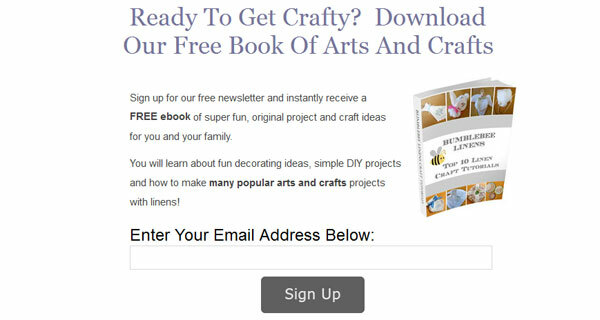 For our store, we give away a free arts and crafts ebook in return for an email. And once a customer signs up for our list, we then send them a series of automated emails enticing them to buy. Setting up a free giveaway and an attractive sign up form is pretty simple if you use a 3rd party email marketing provider. For our shop, we use Aweber to create attractive sign up forms and automatically send out emails at set intervals to our email list. It’s free to sign up and you should definitely start collecting emails from day one. The 3rd bullet point above is especially important since its a huge liability if you do decide to keep credit card numbers on your site. Keep in mind that if anyone ever hacks into your site and steals your credit card number database, you could get sued. Niche online stores are extremely powerful but you have to have a chip on your shoulder in order to succeed. When customers shop on your website for the first time, they are going to be a little squeamish. And it’s your job to make sure that they feel comfortable giving you their hard earned cash. Having the pages described in the post can go a long way towards making them stick around so make sure you take the time to create them. Do people really read the about me page? Can’t speak for everyone, but I do. I ALWAYS do. I want to know who the owner is. I also want to know why is he selling the products. Hello. I really like your article. I was missing some of the stuff and have added it. I started my store in July 2012 and have yet to have a buy. ugh…. On another article you stated not to use a template website. What if the company you purchase your website setup used a template? Of course I can upgrade if I want to spend lots of money. Is there a in inexpensive way to add my personality to the site. Right now it is pretty boring. I welcome any feedback you can give. Thanks. Hi, Steve, great post as usual:) and I cannot do more then agree with it. I say it from the point of view of a customer. I shop often online as it is easier and more simple: you can choose things staring at them for hours or days:D and then finally get them directly to your home, etc. and for those who do not trust to use their credit card online I suggest always check “about me”, “faq” & “shipping” pages, and if there are testimonials then even better. Because when there are so much fraud online+competition and you haven’t use that store before, it has to look really convincing before you press “proceed to pavement” bottom. Thanks, Steve for this very helpful information. I am in the process of building out my website. I had an online business in the past that was O.K but I want this one to be wonderful. Thanks for this awesome blog post. It was needed and so happy that you decided to share what was on your mind. Great site Steve, lots of awesome information. I came here via Spencer’s site after listening to your interview. I was with your own ecommerce store, what’s the best way of going about the product delivery/shipping process once the customer buys something? Do you contract a delivery company? Great article, thanks for that! I can agree on single point. It’s especially annoying when you cannot contact an online shop. I’d recommend customer support channels, where you’ll get an direct answer on questions, like social media or live chat. Also the FAQ page is one of my personal favorite pages to check when buying online. And about data security: think about cultures, where this is a sensitive topic. I’m from Germany, we are pretty picky about where to share our data. So if you want to sell internationally, having high data secure standards is crucial. I love reading your blogs. best e-commerce blog out there that’s very authentic! I found you through e-commerce fuel and I honestly…. With every ounce of my being, I wish that I had bought your e-commerce course instead of the other. You have much better content and just feel like you would help a lot more with issues! Thanks Susan. Really appreciate the kind words.